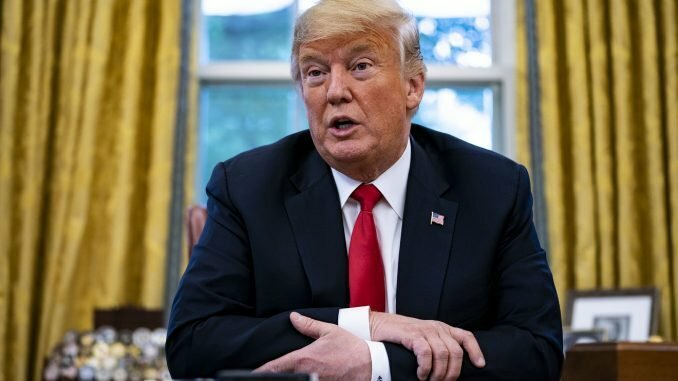 President Donald Trump threatened to withdraw the U.S. from the World Trade Organization and said he’s considering an executive order linking capital gains taxes to inflation, according to a new report. In a wide-ranging Oval-Office interview with Bloomberg News, Trump also said Attorney General Jeff Sessions’ job is safe until the midterm elections — though he did not comment on keeping him on past November — and the Fed should help him more in his trade fight with China. Speaking about the WTO, Trump told Bloomberg he’d pull out unless the organization starts treating the U.S. better. Withdrawing from the WTO — which the U.S. helped create in 1995 — could have huge repercussions for the global economy. The organization’s role is to resolve worldwide trade disputes, but Trump and U.S. Trade Representative Robert Lighthizer have sharply criticized it and accused the WTO of interfering with U.S. sovereignty. While on the subject of trade, Trump told Bloomberg the EU’s recent offer to drop tariffs on U.S. cars was “not good enough,” and said “The European Union is almost as bad as China, just smaller.” Trump has repeatedly claimed that China and the EU treat the U.S. unfairly on trade. Trump also said he’s “thinking about” an executive order tying capital gains taxes to inflation, a move critics say would mostly benefit the ultrarich. Such a plan, which could slash tax bills for investors when they sell assets such as stock or real estate, has been supported by top economic adviser Larry Kudlow. But bypassing Congress would likely cause howls of outrage, and likely face legal challenges.